Minority students in Maryland are more likely to attend school with minority students. White students are more likely to attend schools with white students. 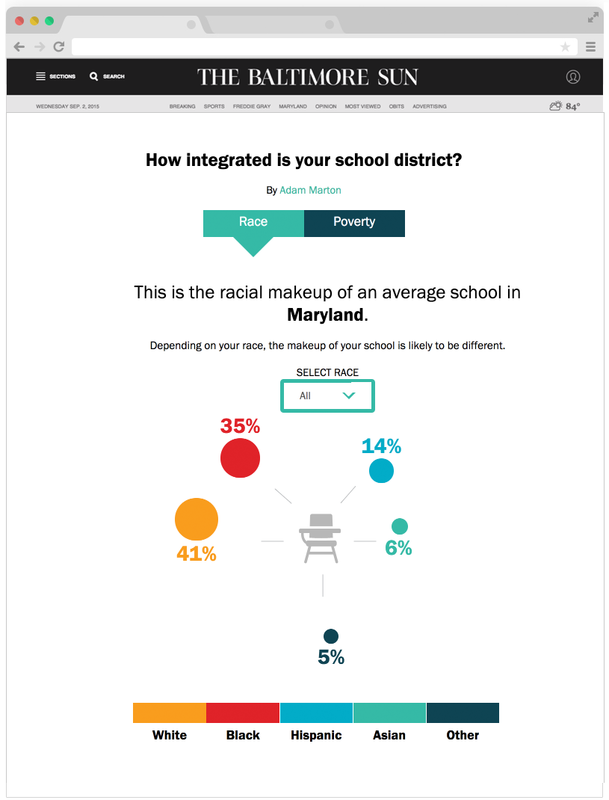 If schools were integrated, as research has shown benefits all students, the demographics of the schools would match the demographics of people living in the school district. This infographic was part of the Bridging the Divide project by The Baltimore Sun.